There are now over 2000 retail outlets across the country supporting Standing Up 4 Sitting Down, pledging to maintain the number of seats people can use if they want to rest mid-shop. 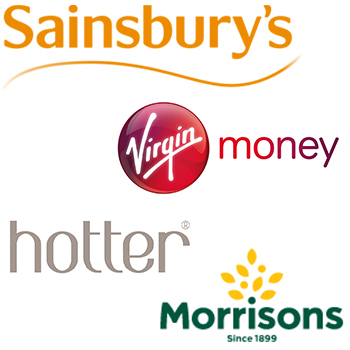 At the national level, 600 Sainsbury’s stores are onboard, Virgin Money’s Store and Lounge network, Yorkshire Building Society and Argos have joined us, Debenhams have said they are happy for their branches to support the campaign, and Morrison’s have pledged to maintain the number of seats they have in their stores. Hotter and Seasalt have also backed the campaign. Stephanie Rosewarne from Seasalt said: "Customers are at the heart of everything we do at Seasalt, which is why if we can make someone’s day that bit better by making sure we have a spare chair for those who can’t stand for long periods, then we’ll do it! We fully support the SU4SD campaign and hope our customers will enjoy a few moments to rest and recuperate with us if needed." Support is also coming from the Thirsk branch of Tesco while Palmers Department store in Great Yarmouth, Norfolk, plan to increase the number of seats available for older and disabled people from six to 15 over the next two years. Meanwhile BodybalanceCo in Cambridge and Bloomingtails in Brighton have also pledged to increase the number of seats so people can rest mid-shop. Staff at Enfield Post Office in London and Beach Creative CIC in Herne Bay are also supporting the campaign.